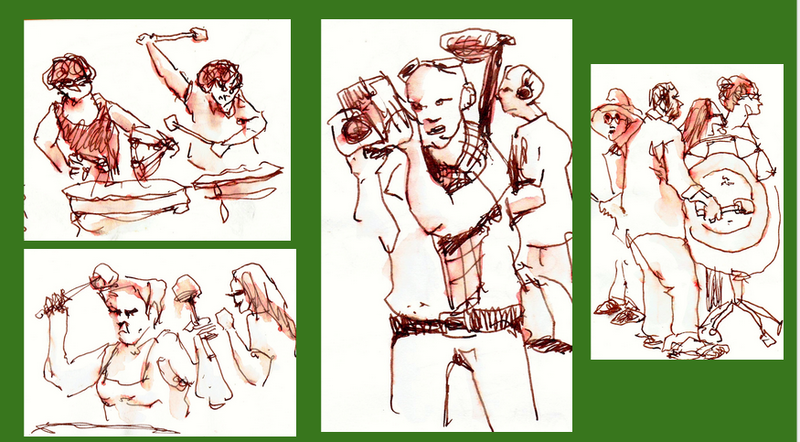 The Make Music New York city-wide event was a sketch-fest Loads of good things to draw and the music to motivate everyone's creative spirit. The day started a little north of the Flatiron Building. I did a quicky sketch looking south. Then I spotted a father and son wolfing down their lunch. Not sure if the eating enthusiasm I sketched was something they learned or if it was hereditary. Next I spotted a guy who could do Santa Claus work in the winter. He pedaled up on his bike and found an ideal spot to watch the Gong Event. We went to Brooklyn for the Convergence of the Marching Bands. They came to Grand Army Plaza from all directions and met on the wide steps of the Main Branch of the Public Library. People were dancing, children were delighted and there was sound and energy coming from everywhere. When it was over we were all hungry and thirsty and walked a few blocks to the Sunshine Company at 780 Washington Street in Crown Heights. 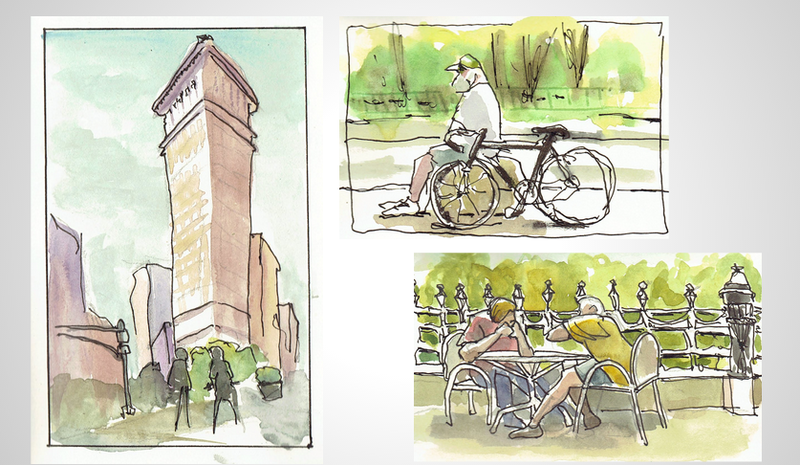 We got busy eating, drinking and sketching. I did a quick sketch of three people sitting at the bar in conversation. I'm so impressed at how you are always able to capture the energy of your surroundings. Also so jealous I couldn't make it. 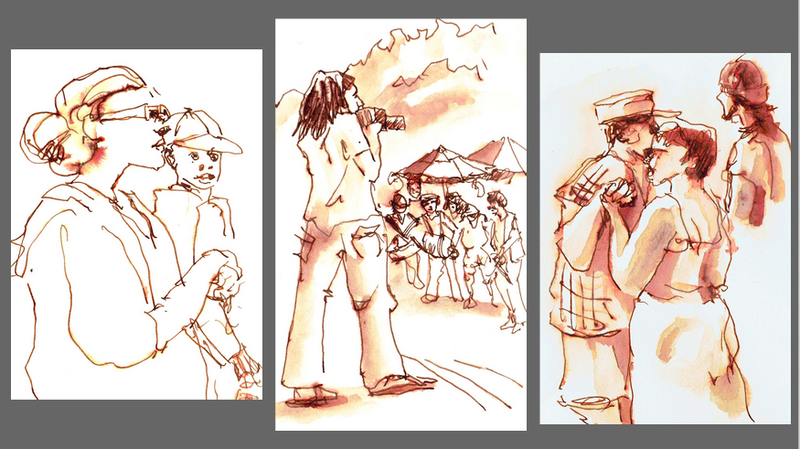 Great sketches of the musical events and of course the people at lunch! I like the shading on those dancers!